Doing a Tear Out? Have Excess Inventory? plant liquidation sites, demolition projects, auctions, insurance claims and asset recovery agents. RESA Power will pay competitive prices for all of your surplus electrical equipment. What do we want to buy from you? You send us a list and pictures of the equipment you have for sale. We send you an offer, usually within 24 hours. We issue you a Purchase Order. We arrange and pay for shipping. We inspect the equipment when it arrives to make sure it matches the description. We send you a check within 24 hours! But who does the equipment removal? We have the ability to assist in removal. We are fully insured and will meet all of your plant safety requirements prior to removal. Know about someone else that has equipment for sale? If you know of any electrical equipment for sale, we will pay you a finder's fee for giving us the lead. Easy. 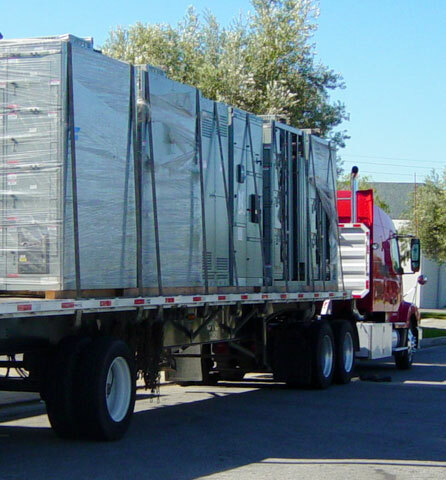 Give us a call at (800) 996-9975 or email us at SellToWCS@WestCoastSwitchgear.com. We’re always happy to answer any questions.